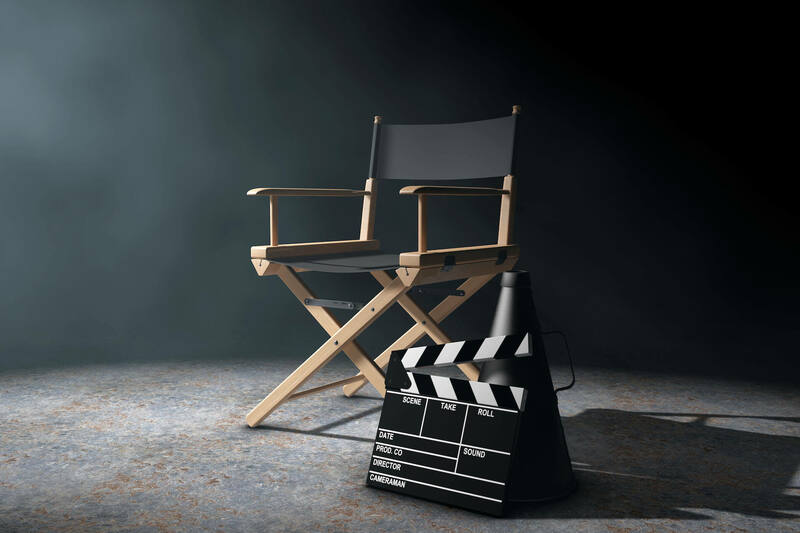 Vidu’s video vacancies have the potential to transform your job advertising. 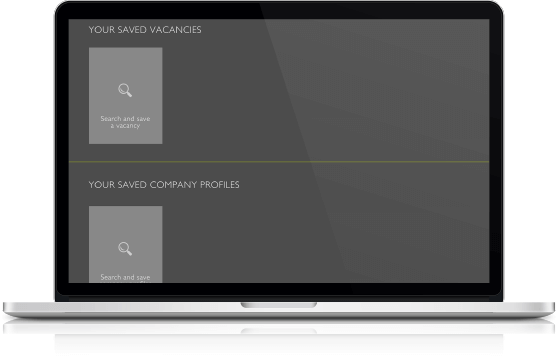 It’s often said that finding the right match between employer and candidate is the biggest challenge in recruitment. And so often, the marriage doesn’t work. So imagine being able to present a video of the vacancy you’re offering. For the candidate, it’s a bit of a test drive. A look under the bonnet of the company they could be working for. Unlike an interview, they’re able to pause, rewind and reflect on whether the vacancy is right for them. A far cry from a paper ad in the situations vacant column. 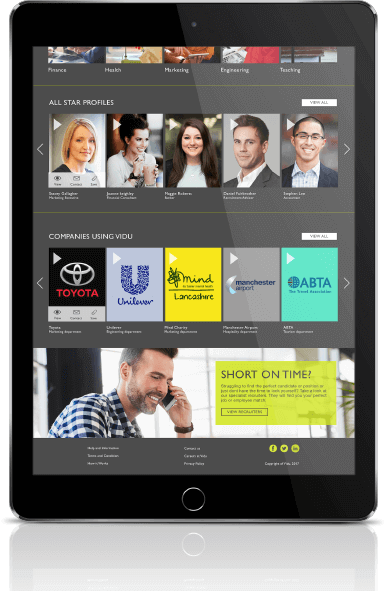 The ability to present a video of a job vacancy is what is so attractive about Vidu Recruitment’s new platform. Now you can walk candidates through your job spec. Treat them to a tour of your office. Even arrange a ‘meet and greet’ with their key co-workers. Savvy employers will spot the benefits in promoting a vacancy as a ‘trailer’ to the main event. Candidates will walk in with their eyes opened. There’s a cultural ‘fit’ and you’ll most likely keep people far longer. Small wonder then that employers are starting to use the Vidu platform for its ability to present vacancies in video form. Plus the platform’s fast and easy to use. 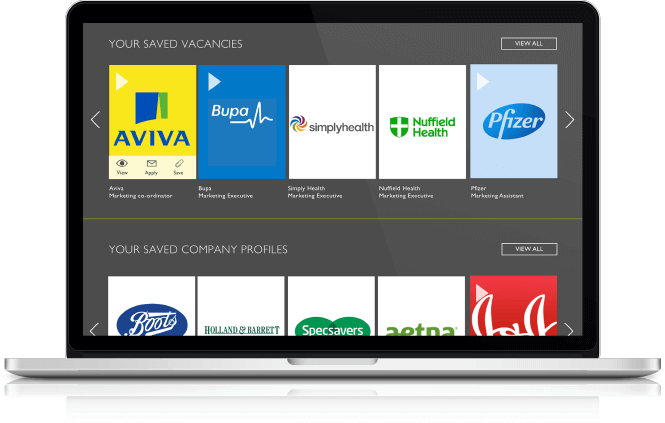 You can begin shortlisting candidates without having to trawl through mountains of paper CVs. 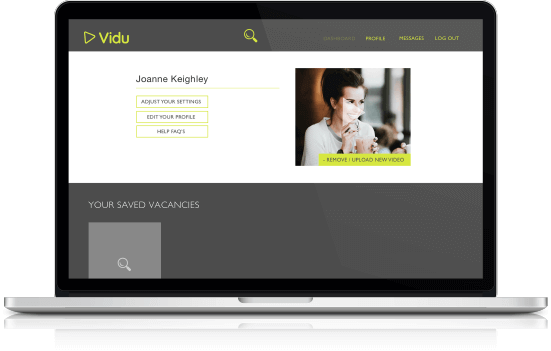 There’s no better introduction to more transparent recruitment than by posting your vacancy in video form on Vidu.